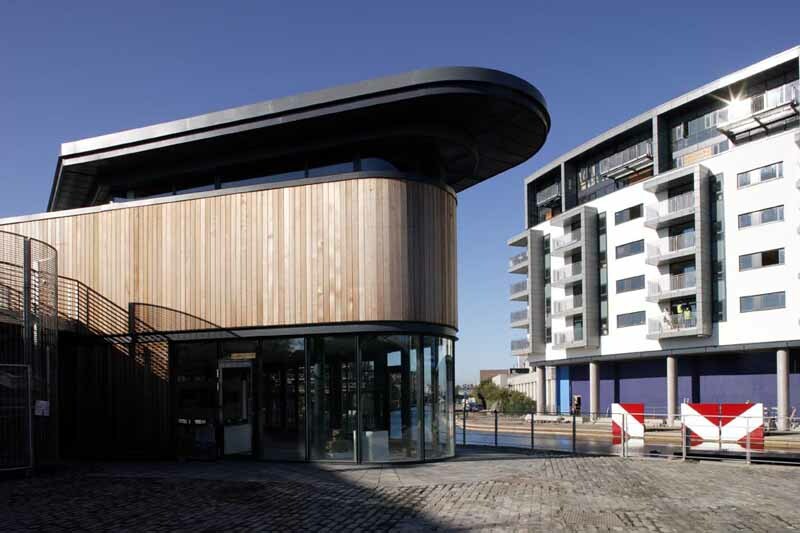 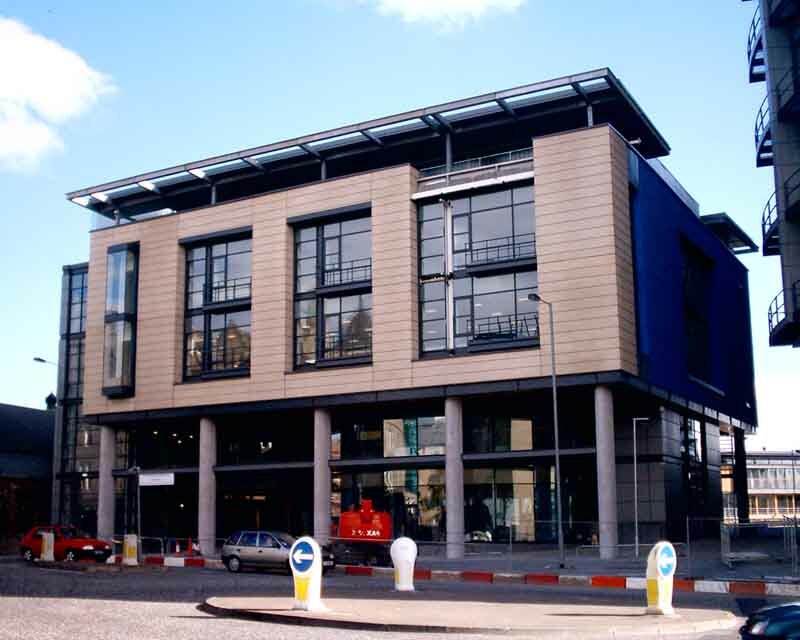 Edinburgh Quay Ltd, the landmark £60 million mixed-use scheme at Fountainbridge, Edinburgh, has been voted the Best Regeneration project in Scotland at the Scottish Design Awards 2005. 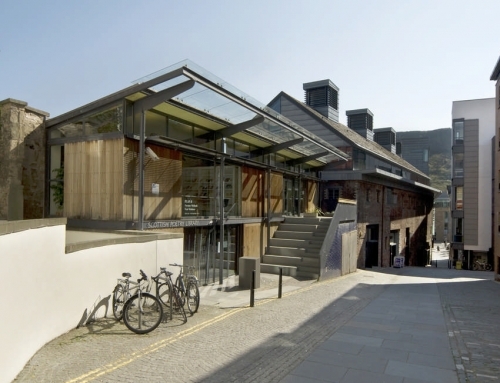 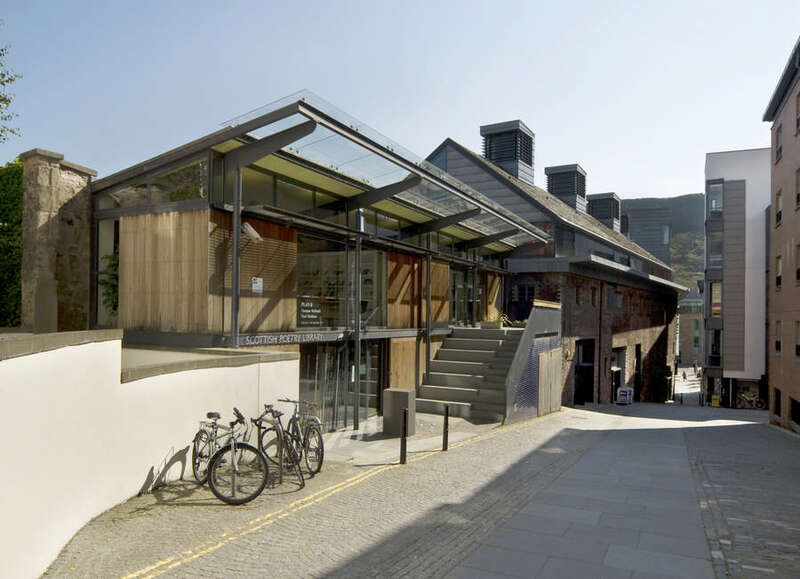 Michael Laird Architects beat off strong competition from across Scotland to pick up the award for the successful first phase of the project. 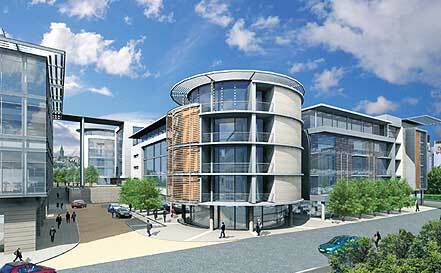 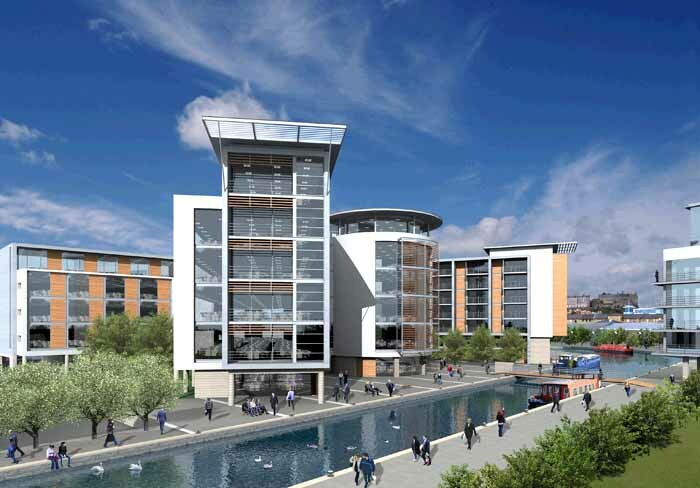 Edinburgh Quay Ltd is a joint venture between Miller Developments and British Waterways. 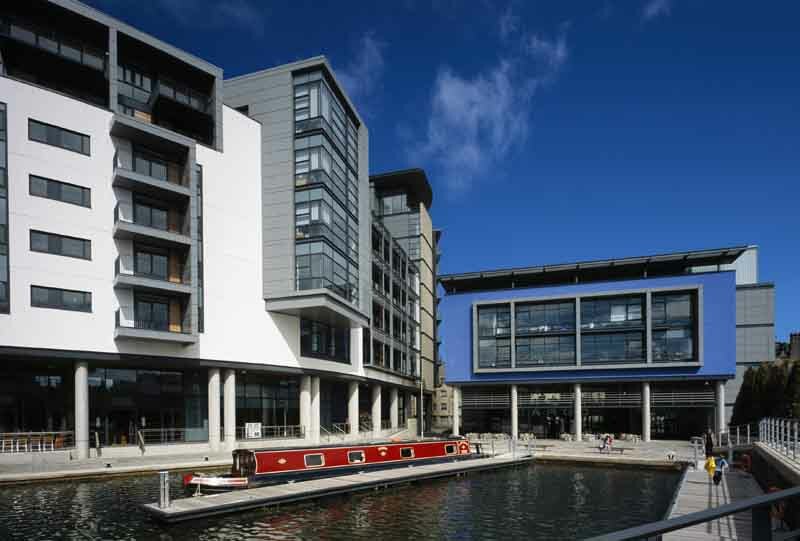 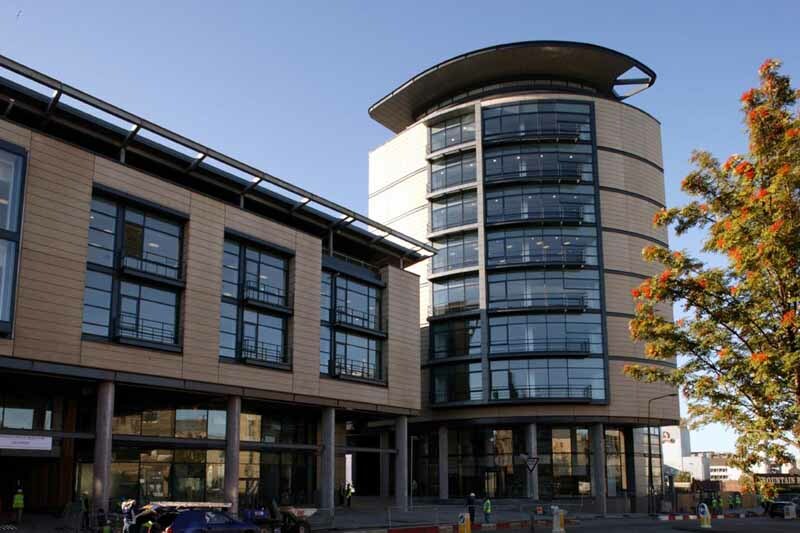 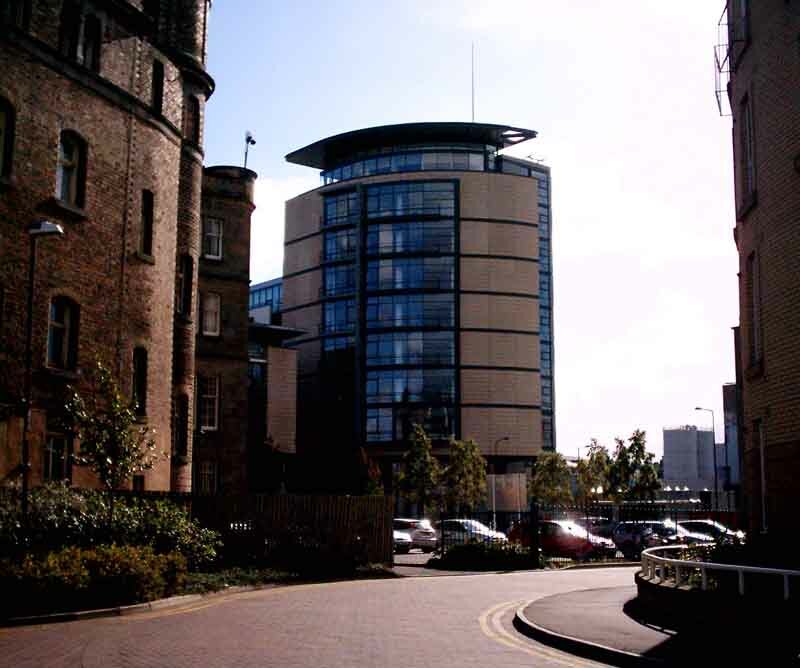 The mixed-use development consists of 82,000sqft grade A office accommodation, 31,577sqft quality licensed premises and 20 first class residential apartments constructed around the eastern terminus of the Union Canal in the centre of Edinburgh. 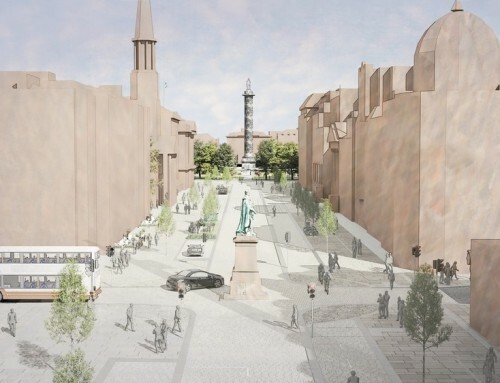 The development has acted as a catalyst for the regeneration of Fountainbridge and is positioned in the centre of the masterplan which, once fulfilled, will reinvigorate the area. 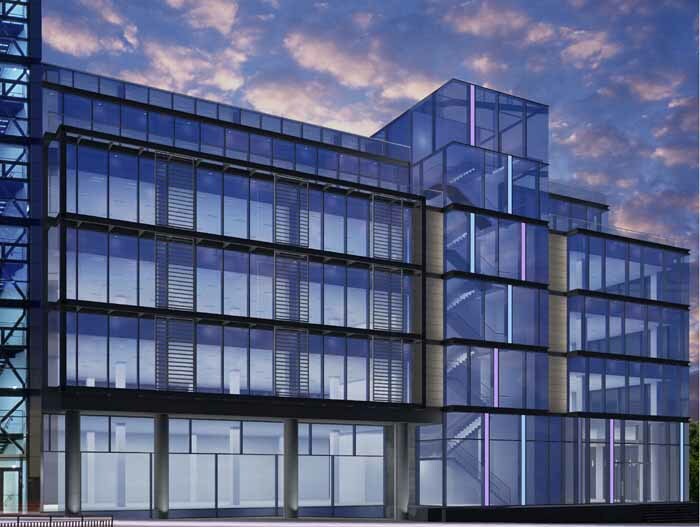 Edinburgh Quay anticipates that the construction of phase 2, which will see the incorporation of an additional 60,000 sqft of quality office accommodation, will commence this year. 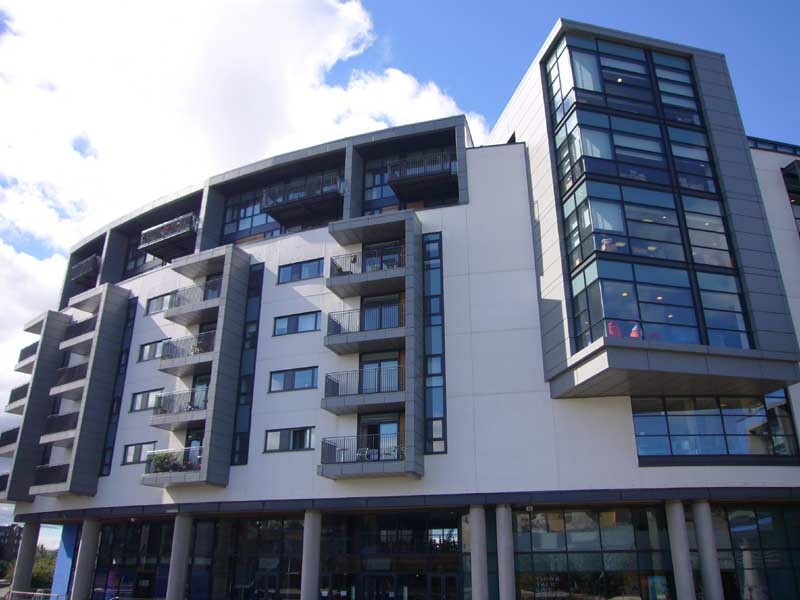 The office accommodation at this development is now 75% let with only 18,294 sqft remaining and two of the six leisure units are occupied. 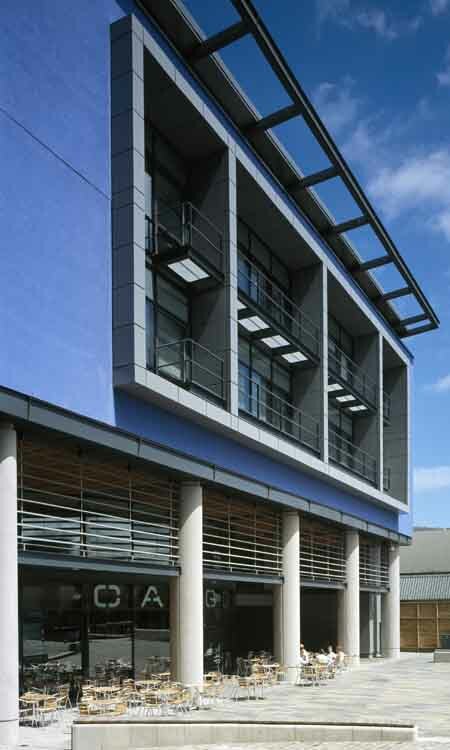 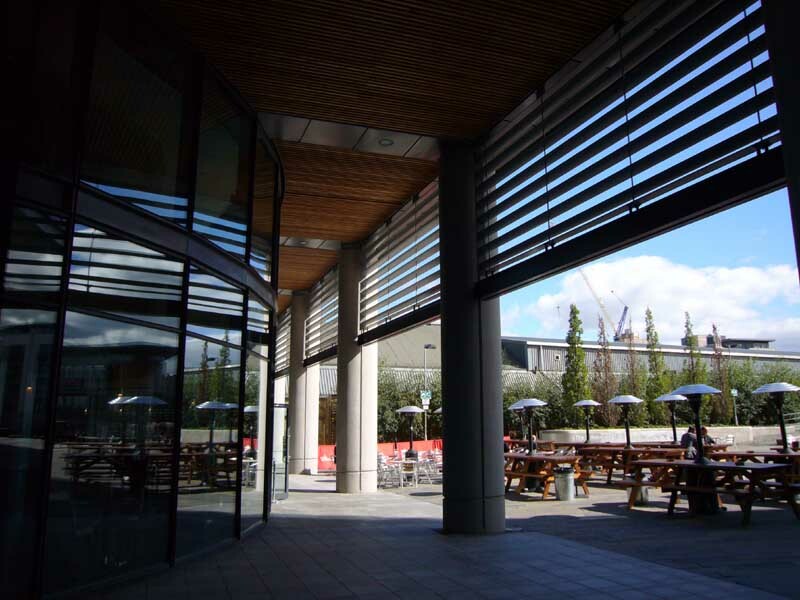 Festival Inns, occupy unit 1 and Zizzi, part of ASK Restaurants, occupies unit 5. 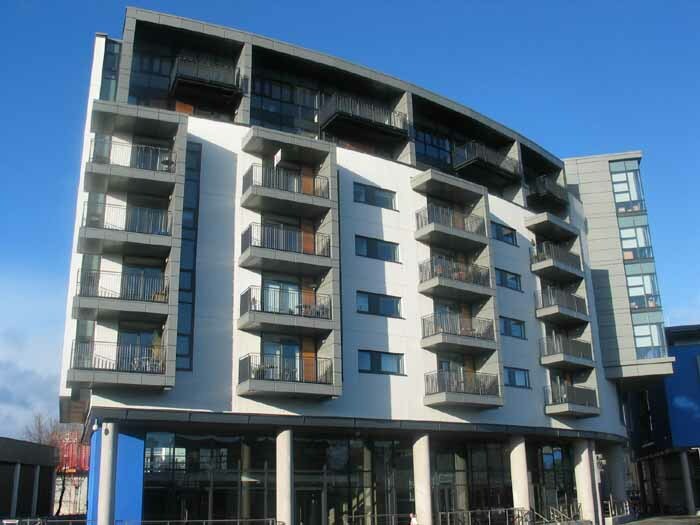 The remaining office accommodation and leisure units are generating interest within the market and additional lets are expected shortly. 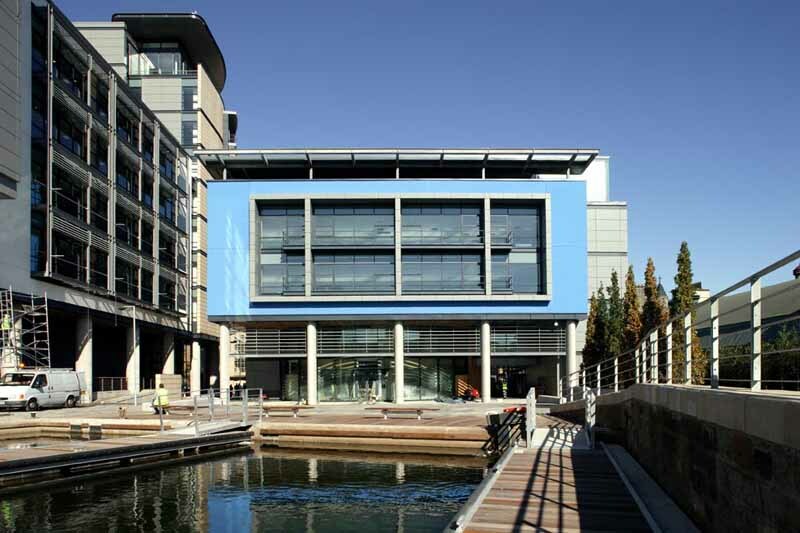 Edinburgh Quay (EQ) is a mixed-use waterfront development adjoining the financial ‘Exchange’ district. 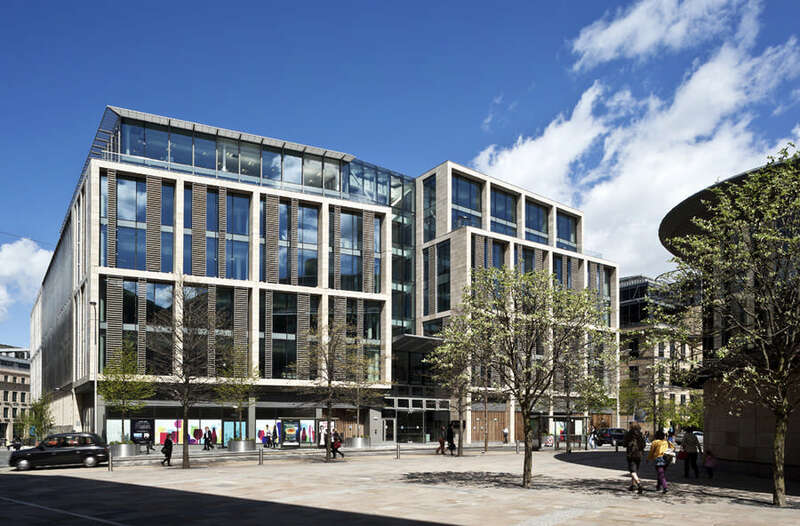 Planning permission was granted for the first phase which will provide 11,000 sqm of offices in two phases, 3145 sqm of leisure, and 62 residential apartments. 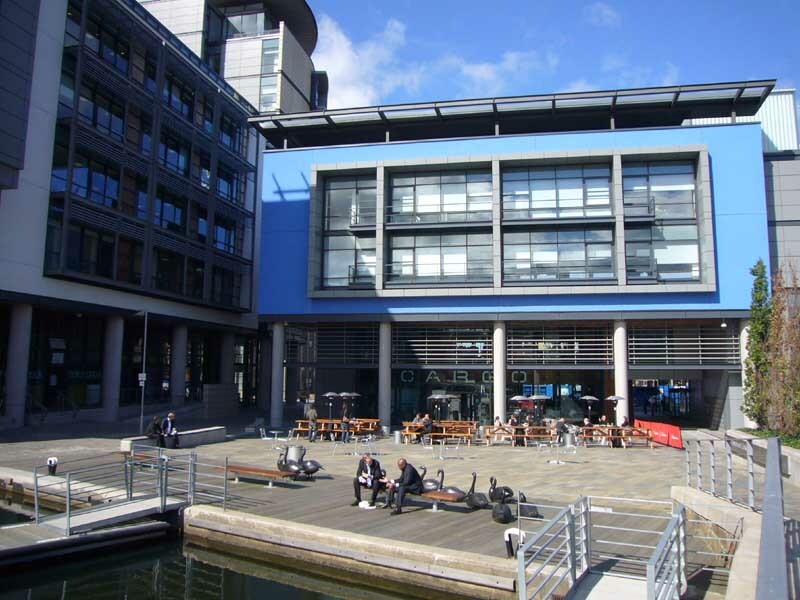 The Quay development was renamed EQ1 in late 2004. 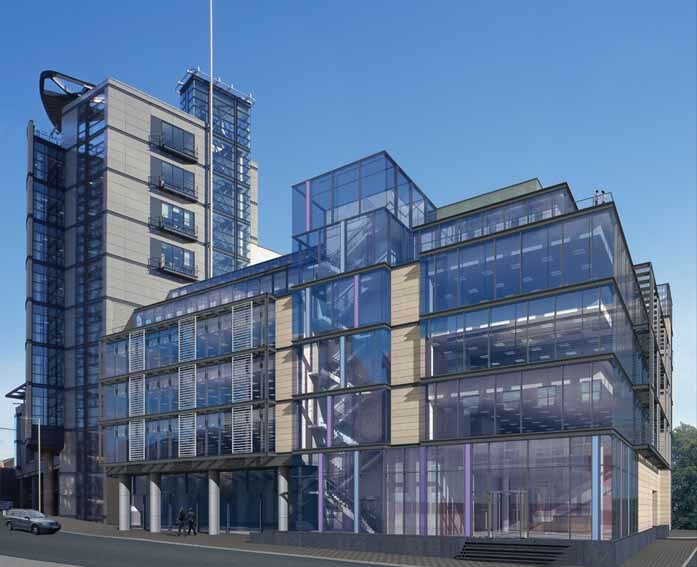 1 Edinburgh Quay – headquarters building providing 6,099 sqm of accommodation planned over five main levels and three penthouse floors. 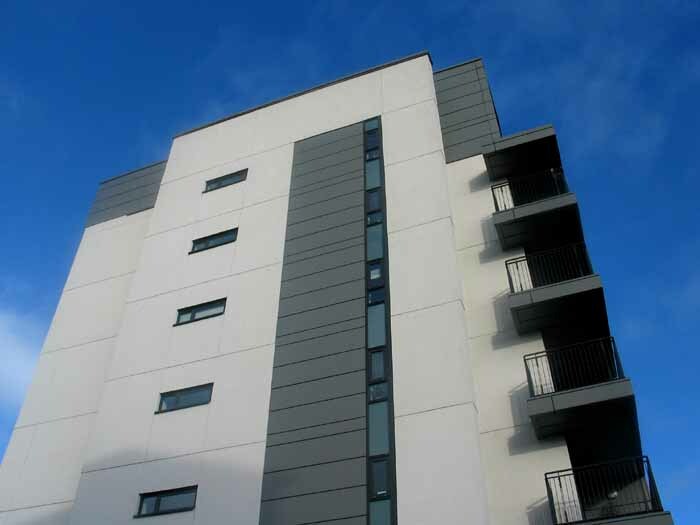 2 Quayside House – providing 1,468 sqm of accommodation on two floors. 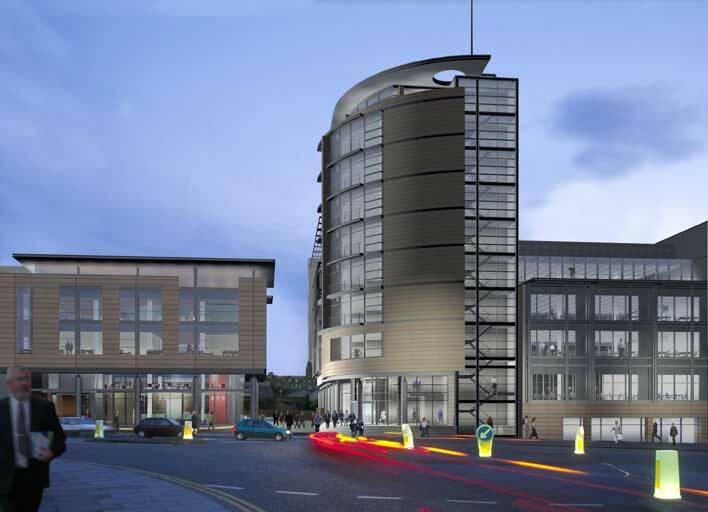 3 Seven restaurants totalling to 2608 sqm plus 20 luxury apartments. 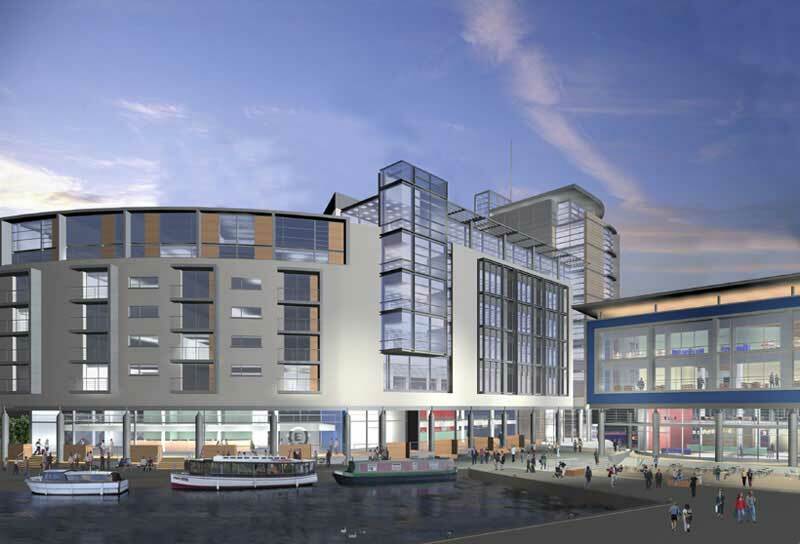 The second phase of Edinburgh Quay (EQ) will complete the development by constructing the A1 and A6 buildings which face the main Fountainbridge and western boundaries respectively. 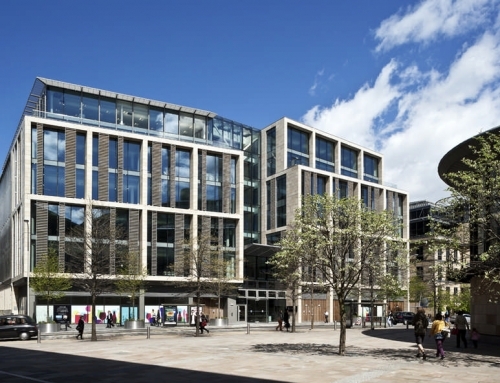 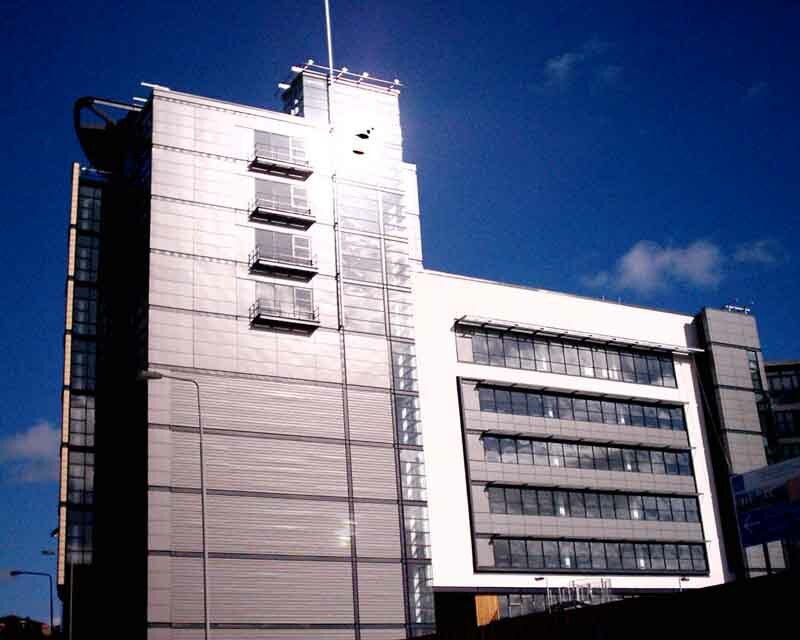 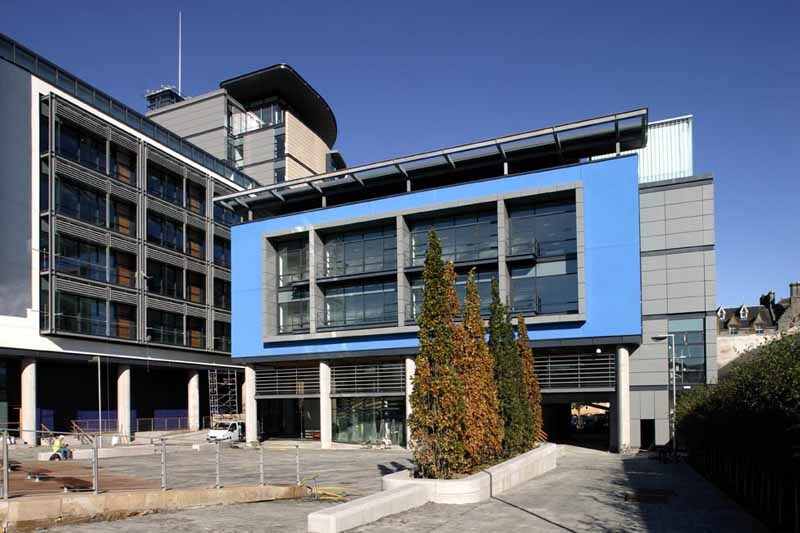 Edinburgh Quay Phase Two comprises 75,000 sq.ft of mainly office accommodation arranged over six floors from Basement (-1) up to Fourth floor, to be constructed on top of the concrete podium which was built as part of the first phase. 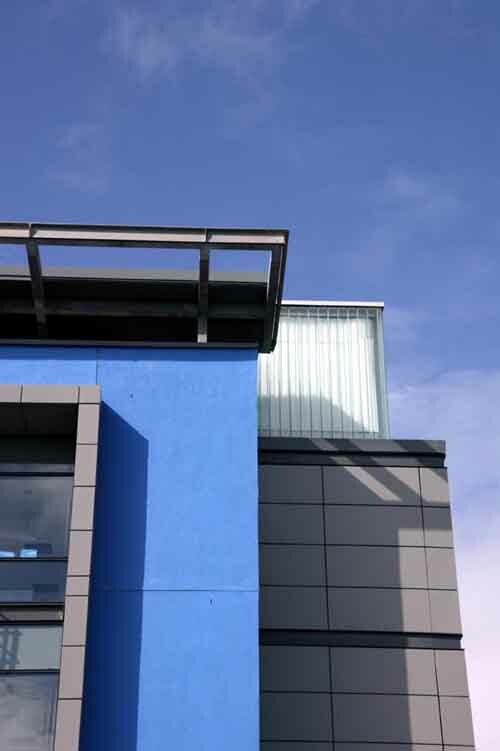 The structural frame will be primarily of concrete, with external finishes of aluminium curtain walling, rainscreen cladding, precast concrete panel cladding and blockwork with acrylic render finish. 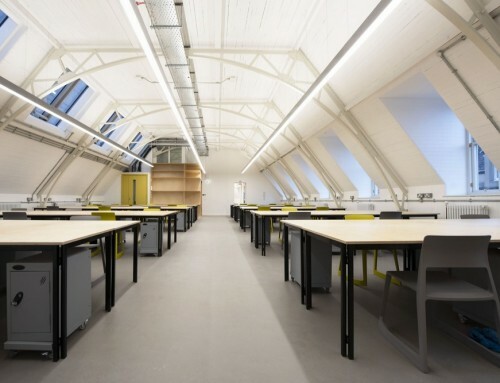 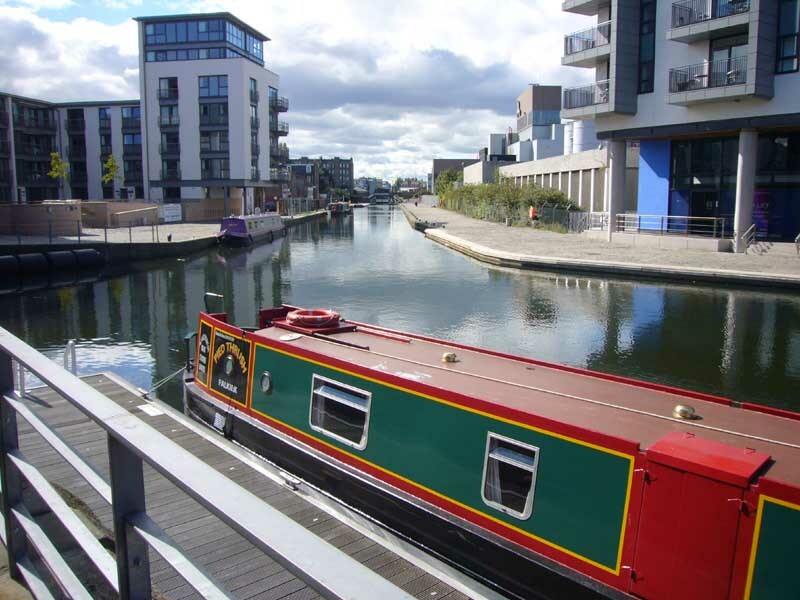 EQ has already acted as a catalyst for the regeneration of Fountainbridge, with projects linking the city centre to the canal and residential areas beyond. 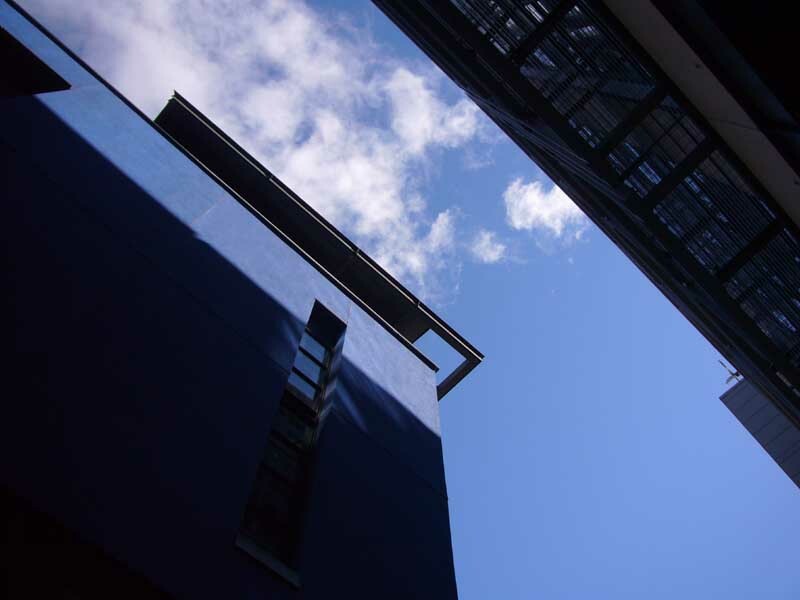 Permission is being amended with start on site programmed for Autumn 2005. 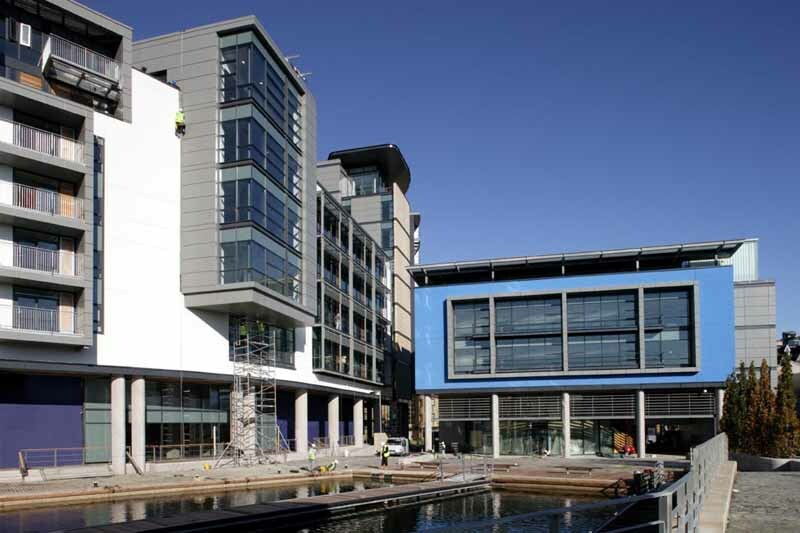 EQ is a £60m mixed use development at the eastern terminus of restored Union Canal. 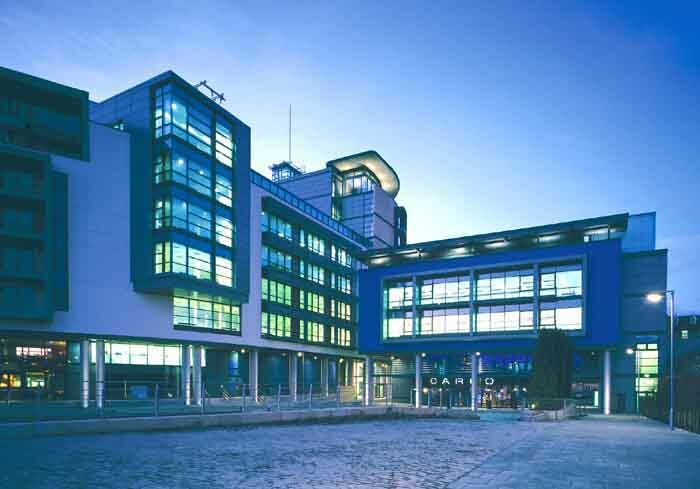 Phase One received planning permission in 2001 and completed Spring 2005. 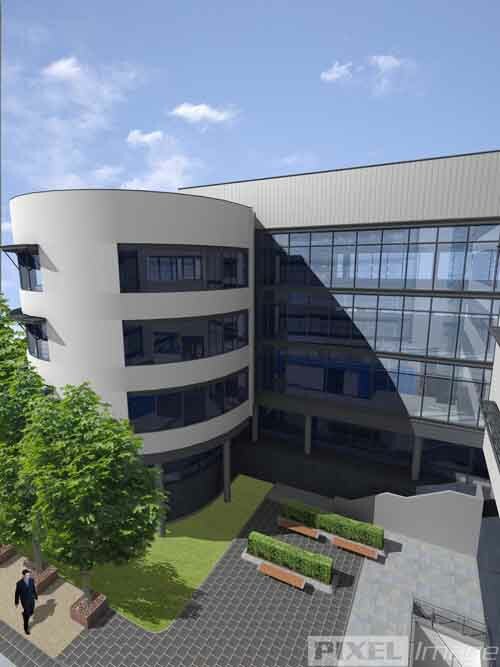 EQ Phase Two build cost is approximately £9m. 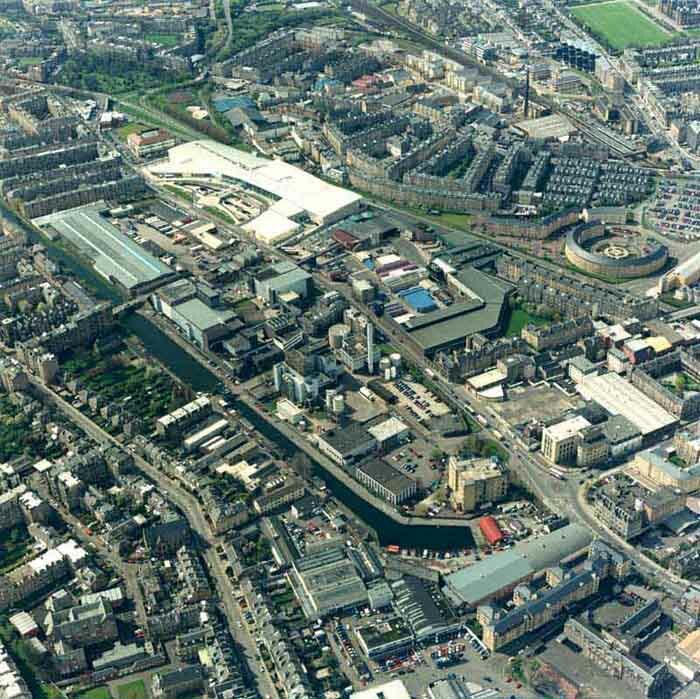 The Union Canal dates from 1822 and originally terminated in Port Hopetoun [canal basin on Lothian Road]. 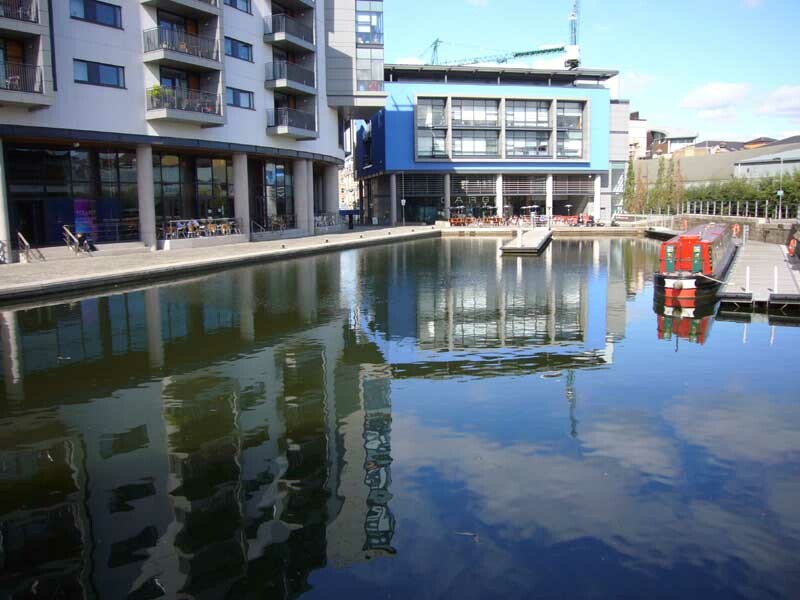 Lochrin Basin was created in the early 20th century as the end section was infilled and the canal declined. 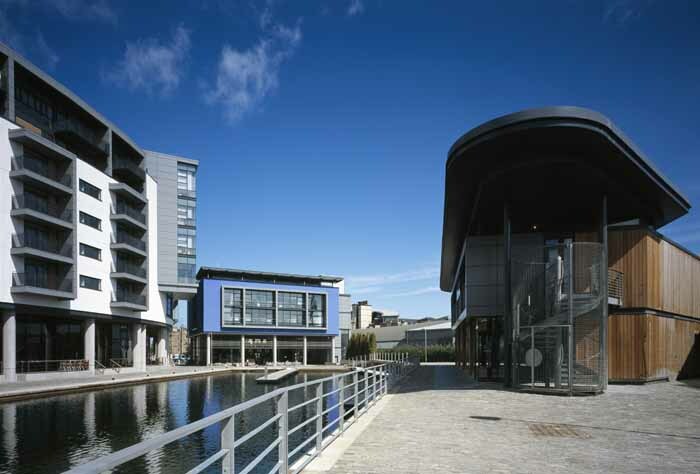 Prior to redevelopment the Edinburgh Quay site was occupied by a series of poor quality buildings and industrial units; the Lochrin Basin was derelict and the towpath inaccessible to the public. 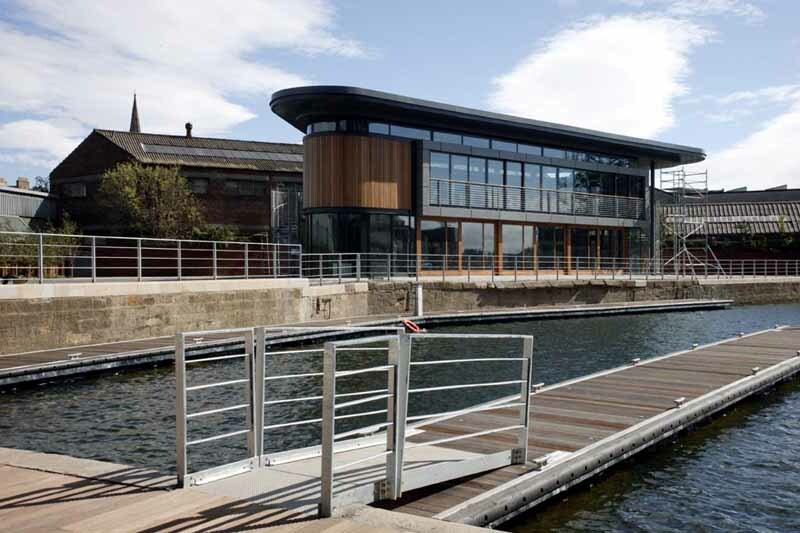 The Joint Venture between British Waterways and Miller Developments is entitled Edinburgh Quay Ltd. 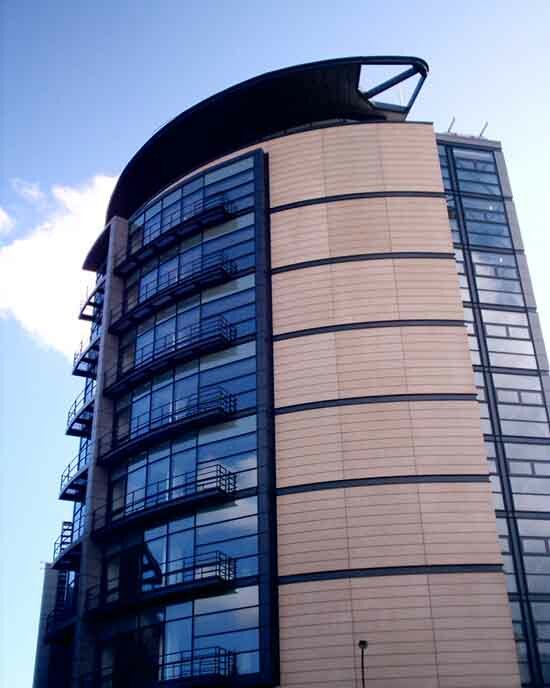 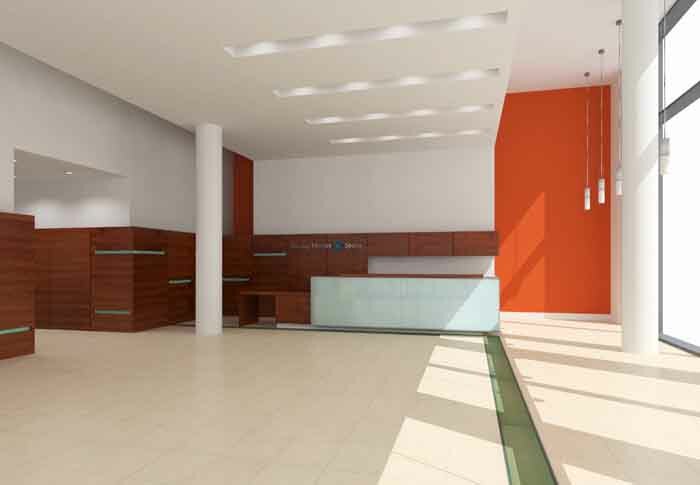 The Miller Group is the UK’s largest privately owned property company. 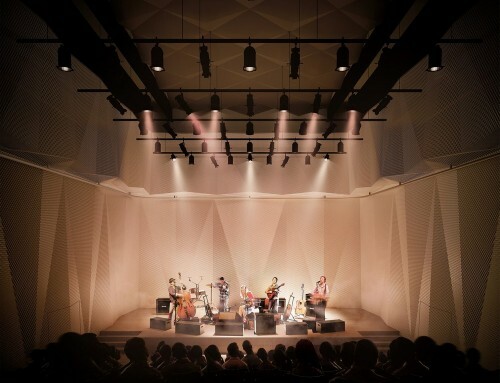 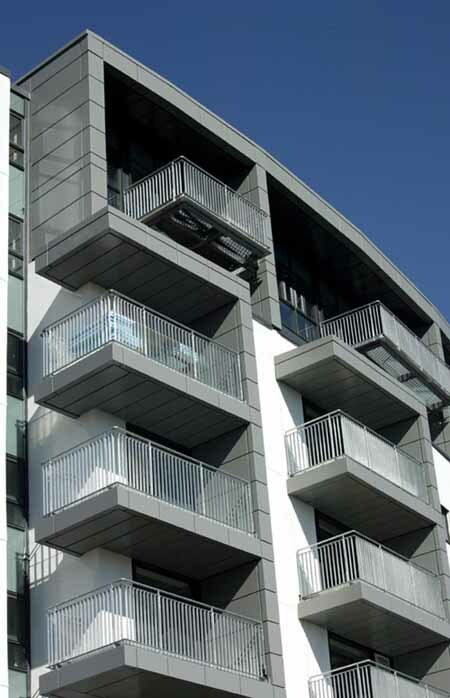 Materials used at EQ Phase Two include a structural frame of concrete and steel (for the top floor only) with external finishes of aluminium curtain walling, rainscreen cladding, precast concrete panel cladding and blockwork with acrylic render finish. 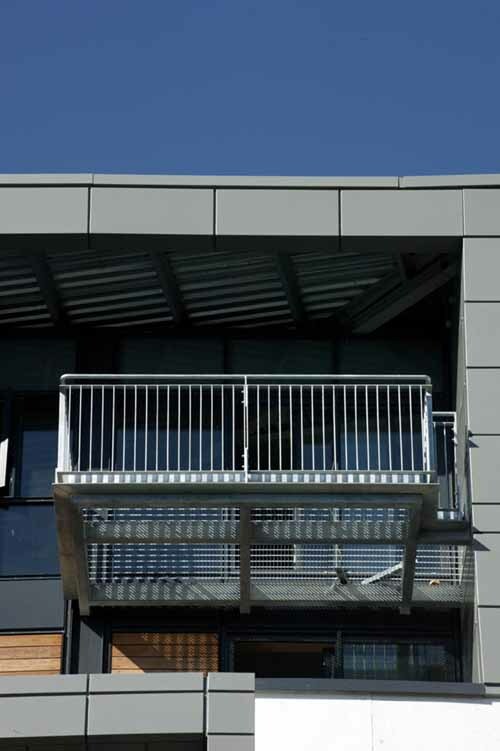 Roof areas will be a combination of lightweight decks with single layer pvc membranes for the top most roofs and concrete decks with asphalt for roof plant areas and roof terraces. 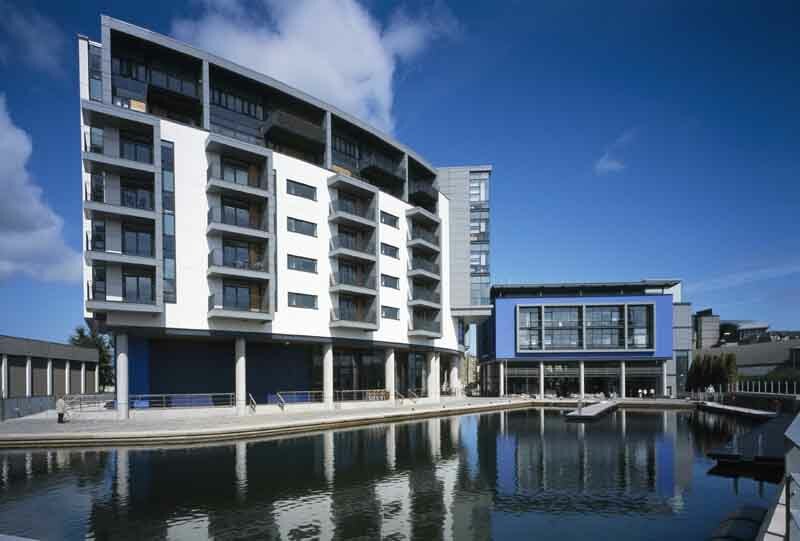 Edinburgh-based Melford Developments 4-6 storey canalside luxury flats and social housing next to the Miller Developments and British Waterways Edinburgh Quay project. 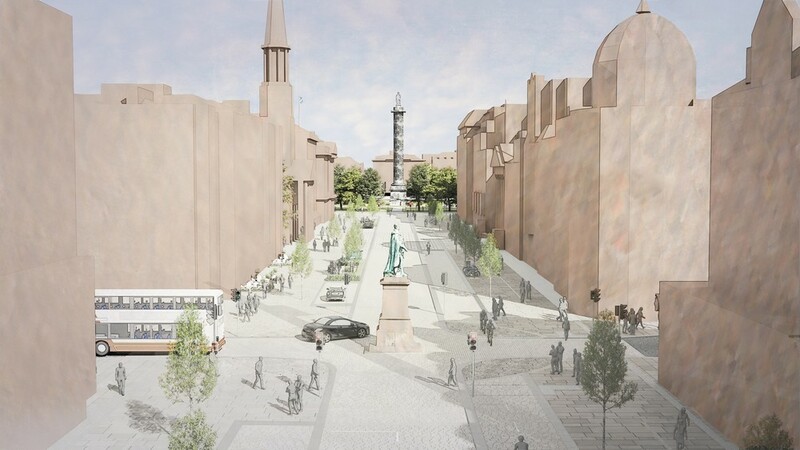 The plans faced strong opposition by local people supported by Scottish Secretary & Edinburgh Central MP Alistair Darling and their own independent planning expert to help their cause and despite councillors’ approval permission was not granted. 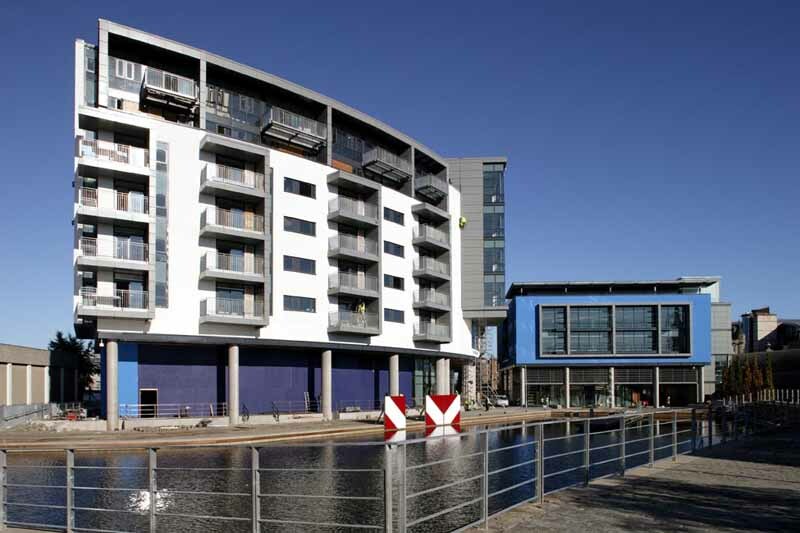 High-quality canalside apartments were included as part of the award-winning development, a major city centre project which has kickstarted the regeneration of Fountainbridge.